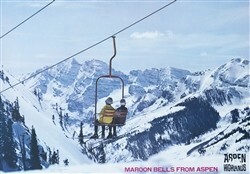 This is a classic Aspen Highlands Vintage original ski poster by photographer Buzz Soard. The best view of my favorite mountain in the Elk Range is from the Loges Chair at the top of Aspen Highlands. This is another poster from our new collection of original ski posters that we found in an old shed. 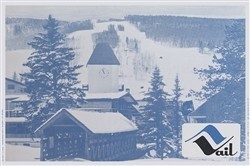 Collect or decorate with this awesome old ski poster from Aspen Colorado, my home town! 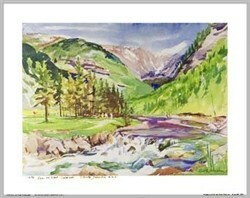 Poster size – 21 x 30 inches.